Click here to get a free Pancho Bandito book! 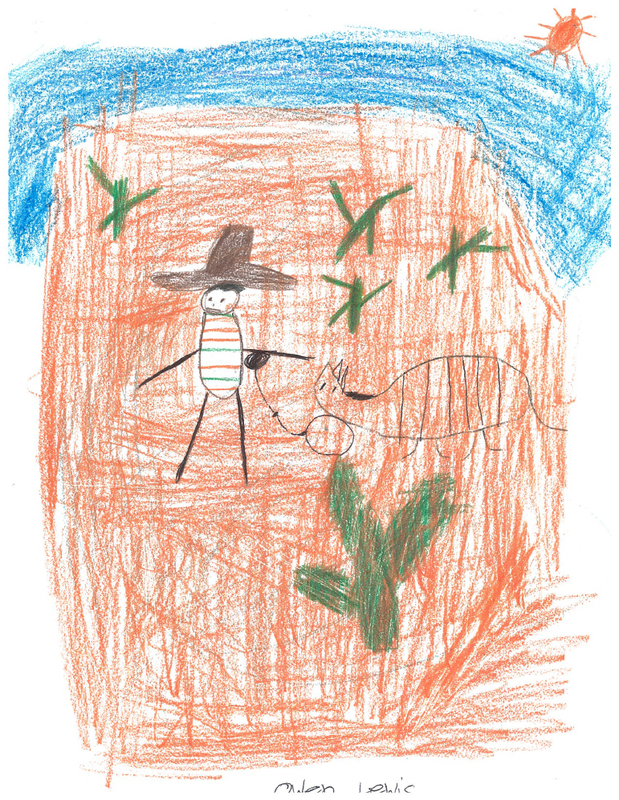 Pancho Bandito and the Amarillo Armadillo is an epic Western tall tale about friendship that's a hoot to read aloud. Pancho Bandito is a giant kid cowboy who longs for his own horse. He travels to Texas to sell cattle but runs into the monstrous Amarillo Armadillo. Can Pancho save Fort Worth from the beast and make a friend along the way? Click a button below to share the fun with your own whippersnappers! Pancho Bandito and the Avocado Desperadoes is an epic tall tale with crop-robbing bandits, mythical South American mysteries, and big secrets about Pancho's past. Ride along with heroic Pancho as he seeks an ancient power to defend a helpless town against a gang of greedy desperadoes. Click a button below to grab your copy today! Pancho Bandito and the Sugarcane Hurricane is an epic tall tale adventure set on a speeding train. When the Amarillo Armadillo is kidnapped, Pancho must fight his way through a train full of desperadoes to save his friend. But the cowboy meets his match in the mountainous and mysterious Gordito, who may hold a key to Pancho's past. Click a button below to whoop and holler along with your youngsters! Subscribe to get the latest Pancho Bandito news, special offers, and updates on new book releases. Interested in having Mike or Jonathan come to your school? A typical school visit consists of a Pancho Bandito reading, Q&A on the book and then a demonstration of how to illustrate the main characters. In person visits are limited to schools near the San Francisco Bay Area or Portland, Oregon. For all other schools, we're happy to set up a video call using Skype or a related app. Contact Mike at phastman@hotmail.com to arrange a visit to your school! Take a gander at some Pancho Bandito fan art or email an image of your own to phastman@hotmail.com for a chance to be featured on the Range.